Washington (AFP) - Donald Trump's son-in-law Jared Kushner has had such a bad patch recently, including losing his top-secret security clearance, that the president himself is joking about it. Trump, in a lighthearted speech Saturday before a dinner of Washington media leaders, quipped that Kushner had arrived late because he "couldn't get through security." But Trump's jesting tone belied the fact that the political pressure on Kushner, and to a lesser degree on his wife Ivanka Trump, has probably never been higher. On Sunday, even a former top adviser to Trump hinted that it might be time for the couple, both senior advisers to the president, to go. Chris Christie, the former New Jersey governor who for a time led Trump's transition team, said the White House staff, including family members, needed to put the president's interests first. 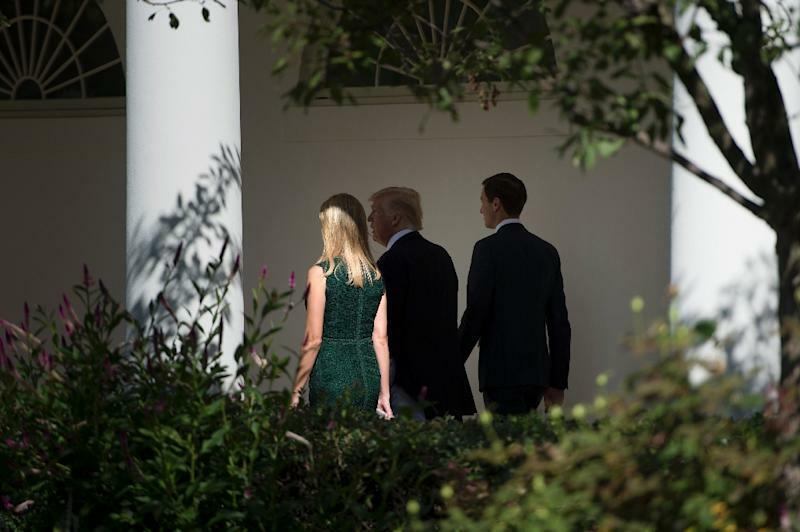 "For Jared and Ivanka and the other family members, I think everyone has to focus on what's best for the president," he said on ABC's "This Week." "I think, unfortunately, you know, because of all the infighting and all the leaking, they're ill-serving this president." "She did the noble thing," Christie said. "If I'm not 100 percent an asset for the president, I'm going to back away." Reince Priebus, Trump's former chief of staff, said on the same program that he agreed with most of what Christie said. But he also said he thought that after a rough start, the Kushners had gradually "found a place" in the White House that "fits in nicely with their portfolio." Trump gave Kushner an almost unprecedently broad portfolio, from streamlining the US government to working for Middle East peace. But a recent report in the New York Times questioned possible links between meetings Kushner held in the White House and loans worth hundreds of millions of dollars subsequently granted to his family's business. And a Washington Post report suggested that officials from China, Israel, Mexico and the United Arab Emirates had discussed ways to exploit Kushner's inexperience and financial entanglements. For now, Trump's jokes aside, the Kushners remain in place. "Jared is still a valued member of the administration," White House spokeswoman Sarah Sanders said last week.